The nominees for the 37th annual Country Music Awards include plenty of men – every last one of the nominees for Entertainer of the year, the Horizon award and several other categories are certified, grade-A-Males. But two men in particular are in this year’s spotlight. One is Toby Keith, who leads the pack with seven nominations, including a nod for entertainer. The other, of course, is Johnny Cash, the towering icon who passed away Sept. 12, 2003 Fans and industry insiders alike will be watching carefully t see how he is remembered – and how many awards he wins. He’s nominated in four categories, all announced well before his death. AMERICAN IV: THE MAN COMES AROUND GOES GOLD. 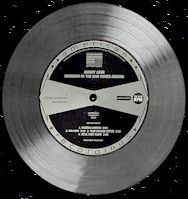 The RIAA has certified Johnny's Grammy Award winning album Gold for achieving sales of 500,000 units. The album has spent nearly six months on both the Billboard Top 200 and Country charts as well. I am persuaded that nothing can separate me from my love of my God, my wife, and my music. Life is rich when I come home, after hours in the studio, feeling as frayed as a hundred Big G strings, and curl up to June Carter. She’s a soft, fluffy Mama Bear. That’s when I give God a “Thanks a Lot , Chief”. Sometimes in the morning I’ll say “Good Morning” to the Awesome Presence, but sometimes I forget to. Home from the studio, or to the hotel from the studio, depending on where I am, it seals the day’s work when I relate to June what I did that day. But music never stops. It’s an unending loop through my brain. Over and over and over again. Finally my head settled on that particular song, and won’t let go. I wrote and recorded “The Man Comes Around” early in this project, and for three or four months I recycled that song, over and over, until I’d have to get out of bed, and turn on the radio. It worked for a while, but my inner payback system always went back to “The Man Comes around”. I spent more time on this song than any other song I ever wrote. It’s based, loosely on the book Revelation, with a couple of lines, or chorus, from other biblical sources> I must have written three dozen pages of lyrics, then painfully weeded it down to song you have here. 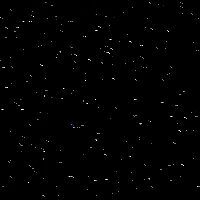 The initial idea for the song came from a dream I had seven years ago. I was in Nottingham, England and had bought a book called “Dreaming Of The Queen” the book talked about the great number of people in that country who dream that they are with the Queen Elizabeth #2. I dreamed that I walked into Buckingham Palace , and there she sat, knitting or sewing. She had a basket of fabrics and lace. Another woman sat beside her, and they were talking and laughing. As I approached, the Queen looked up at me and said, “Johnny Cash ! You’re like a thorn tree in a whirlwind.” Then of course, I awoke. I realized that “Thorn Tree in a Whirlwind” sounded familiar to me. Eventually I decided that it was biblical, and I found it in the book of Job. From there it grew into a song, and I started lifting things from the book of Revelation. It became “The Man Comes Around”. “Revelation” by its mere interpretation says that something “is revealed” I wish it were. The more I dug into the book the more I came to realize why it’s such a puzzle, even to many Theologians. Eventually I shuffled my papers, so to speak, drew out four or five pages, and I wrote my lyrics. On first thought, the idea of the Man in Black recording such covers as "Bridge over Troubled Water," "Danny Boy," and "The First Time Ever I Saw Your Face" might seem odd, even for an artist who's been able to put his personal stamp on just about everything. But American IV: The Man Comes Around, which also draws on Cash's original songs as well as those by Nine Inch Nails ("Hurt"), Sting ("I Hung My Head"), and Depeche Mode ("Personal Jesus"), may be one of the most autobiographical albums of the 70-year-old singer-songwriter's career. Nearly every tune seems chosen to afford the ailing giant of popular music a chance to reflect on his life, and look ahead to what's around the corner. 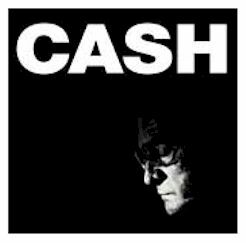 From the opening track--Cash's own "The Man Comes Around," filled with frightening images of Armageddon--the album, produced by Rick Rubin, advances a quiet power and pathos, built around spare arrangements and unflinching honesty in performance and subject. 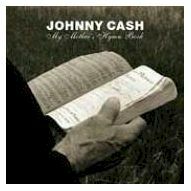 In 15 songs, Cash moves through dark, haunted meditations on death and destruction, poignant farewells, testaments to everlasting love, and hopeful salutes to redemption. He sounds as if he means every word, his baritone-bass, frequently frayed and ravaged, taking on a weary beauty. Johnny Cash will release his fourth Rick Rubin-produced album, American IV: The Man Comes Around, on November 5th. The fifteen-track album comes just two years after American III: Solitary Man. Again, Cash and Rubin assemble a mix of songs penned by Cash, traditional material, and some more contemporary offerings. Country music past is represented by a cover of Hank Williams' "I'm So Lonesome I Could Cry," which features a guest vocal by Nick Cave . Fiona Apple sings with Cash on Paul Simon's "Bridge Over Troubled Water," and Don Henley guests on his own tune, "Desperado." Other tunesmiths covered include Trent Reznor ("Hurt"), Depeche Mode's Martin Gore ("Personal Jesus"), Sting ("I Hung My Head") and John Lennon and Paul McCartney ("In My Life"). 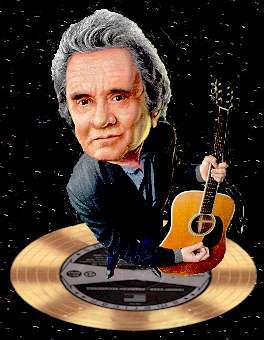 Cash penned four of the songs himself, including a reprise of his classic "Give My Love to Rose," and the new title cut. "It's a gospel song," Cash sideman Marty Stuart said of the song. "It is the most strangely marvelous, wonderful, gothic, mysterious, Christian thing that only God and Johnny Cash could create together." Among the musicians who appear on the record are Red Hot Chili Pepper John Frusciante, Beck's guitarist Smokey Hormel, Billy Preston, drummer Joey Waronker (R.E.M. ), Benmont Tench and Mike Campbell of Tom Petty and the Heartbreakers, and bluegrass/country pickers Randy Scruggs and Marty Stuart. 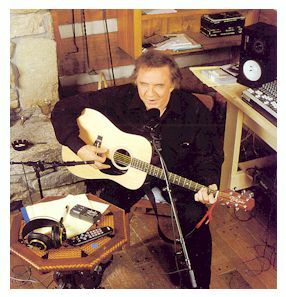 Cash and Rubin first began working together on 1994's American Recordings, a solo acoustic recording which featured covers of songs by Nick Lowe, Leonard Cohen, Tom Waits, Glenn Danzig and others. Recorded at Cash Cabin, Nashville , Tennessee and Akademie Mathematique Of Philosphical Sound Research, Los Angeles , California . Includes Johnny Cash. When the first volume of Johnny Cash's AMERICAN series appeared in 1994, it would have been difficult to predict its critical and commercial success, much less the fact that an illness-beset Cash would be turning out a powerful fourth installment of the series eight years later. Like its three predecessors, AMERICAN IV is a home-recorded, bare-bones Rick Rubin production wherein Cash tackles old classics by other writers as well as more contemporary tunes by artists from the rock world, with a smattering of his own new compositions thrown in. It's also arguably the strongest since the first volume. 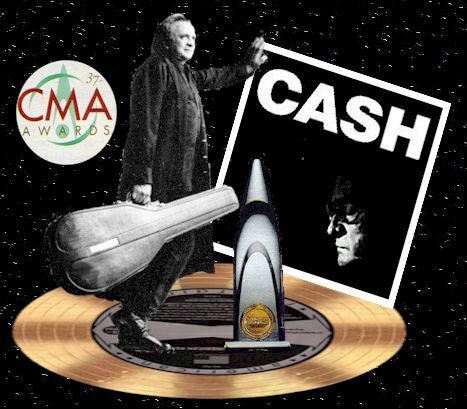 Now that the novelty of hearing the Man in Black tackle tunes by the likes of Depeche Mode "Personal Jesus" and Nine Inch Nails ("Hurt") has worn off, we can get past the gimmickiness to fully appreciate the power of Cash's soul-baring interpretations. He brings an equal amount of gravitas to old country and folk tunes like "Streets of Laredo " and "Give My Love to Rose." To hear Cash's worn, husky, lived-in voice inhabit the world-weary narrative of the Beatles' "In My Life" and the graphic, almost spiritual romance of the Ewan MacColl-penned ballad "The First Time Ever I Saw Your Face" is to be led directly to the heart of these songs' deepest meanings. Johnny Cash's fourth project with producer Rick Rubin continues on the same path as many of their previous releases: Cash's warm and rumbling baritone over minimal production and gentle duets with some surprising guests. One of the things that sets American IV: The Man Comes Around apart from the others is Cash's song selections. The success he experienced with his previous interpretations of contemporary songwriters (Soundgarden's "Rusty Cage," Nick Cave 's "The Mercy Seat") is applied to this album with varying degrees of success. His throaty reading of Nine Inch Nails' "Hurt" easily fits into his "Man in Black" persona, and the spiritual conviction underlying Depeche Mode's "Personal Jesus" is certainly powerful. Unfortunately, the inclusion of "Bridge Over Troubled Water" (featuring a lost- sounding Fiona Apple) and a passionless snooze through the Beatles' "In My Life" should have been so much stronger (given the subject matter of both songs and Cash's prolific life story). One of the reasons his previous covers were so successful is that in the past he had chosen some pretty obscure songs (Bonnie Prince Billy's "I See a Darkness" and Beck's "Rowboat," to name a couple) and reinterpreted them with his unique perspective and unmistakable voice. However, there is really no need to hear his versions of the Irish standard "Danny Boy" or the clunky rendition of Sting's "I Hung My Head," since something about them just doesn't fit -- either Cash wasn't entirely comfortable with the song or the performance was never fully realized. NASHVILLE, Tenn. (AP) - Jamaica's telephone service is capricious, so his voice fades in and out. But Johnny Cash keeps fighting to be heard. Cash is describing a typical day at his island home: It' beautiful. It's about 75 degrees, sun shining, sea breeze blowing.'' Then he abruptly changes course. Neil Diamond hit, in the male country vocal performance category. broad for any single genre to contain. their first network television exposure on his 1969-71 variety series. three albums with Rubin have been triumphs. He has a home outside Nashville, but spends winters at his Jamaica estate. Hall,'' The Cathedral Quartet and a box set of the Carter Family. Of modern country, he likes Trisha Yearwood and the Mavericks. A five-CD box set of Johnny Cash recordings made during his American Recordings era will be released on Nov. 25. 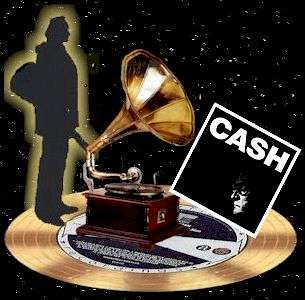 Among the 79 cuts will be 64 previously unreleased recordings made by Cash. 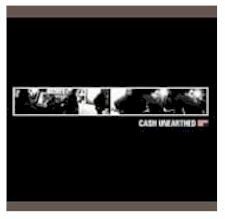 The remaining tracks are songs from Cash's four American Recordings CDs made with producer Rick Rubin. Included are several unreleased duets, including Bob Marley's "Redemption Song" with Joe Strummer, Cat Stevens' "Father and Son" with Fiona Apple, Chuck Berry's "Brown-Eyed Handsome Man" with Carl Perkins, "Cindy" with Nick Cave and "Like a Soldier" with Willie Nelson. The set also includes a 104-page clothbound book featuring one of Cash's final interviews in which he and Rubin talk about coming together, selecting songs and creating Cash's last recordings. The interview also includes extensive comments from Tom Petty, Rosanne Cash, John Carter Cash, among others, as well as a track-by-track discussion of each song by Cash, Rubin and others. The set also contains a 104-page cloth-bound book which includes a track-by-track discussion by Cash, producer Rick Rubin, and others, and features one of Cash's final interviews about his work.